EA DICE has unveiled more details at Gamescon 2017 this week, about the upcoming expansion for the Battlefield 1 game which will be the largest to date and will be arriving next month in the form of Battlefield 1 In the Name of the Tsar. 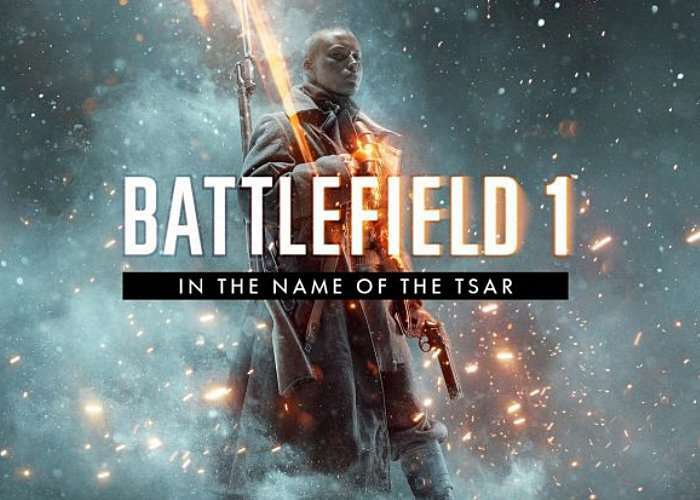 The most “extensive Battlefield expansion yet” from DICE brings the massive Russian army to join the fight which includes the Women’s Battalion of Death, represented by the Scout class. Check out the latest gameplay trailer below, and learn more about the six new maps as the fight moves to the Eastern Front and the Russian Revolution. – Lupkow Pass: The vertical fights are as bitter as the cold as you fight amid snow-covered ravines and treacherous mountains. The first map of Battlefield 1 In the Name of the Tsar, Lupkow Pass pits the Austro-Hungarian forces against the dug-in troops of the Russian Imperial Army. With narrow passes and gorges constantly limiting your sightlines, adapting your tactics is key. You’ll want to gain altitude and get a vantage point on the enemy to help secure the win – but an Armored Train may just change the outcome of the battle. – Albion: Partake in the skirmishes of the Albion assault in this massive invasion of the Baltic peninsula, as the German Empire enacts a brutal coastal bombardment against the heavy gun batteries of the Russian forces. While expert vehicle and artillery use is crucial, sharp-eyed infantry that are able to stay ahead of the mayhem can make a serious impact with each capture point. – Galicia: Set during the epic Brusilov Offensive, you’ll find the Russian Empire committed to pushing back the Austro-Hungarian forces from within the Russian countryside. It’s an open map focused on infantry, cavalry, and light vehicles. With plenty of open space to traverse, it’s a great opportunity to make use of the cavalry charge as both lightning-fast transport and a serious threat to enemies on foot. – Brusilov Keep: The Russians have pushed the Austro-Hungarians back into a secluded mountain town along a critical trade route of the Eastern Front, but the opposition is making a strong stand on this infantry-focused map. Set in the shadow of the Carpathian Mountains, there’s a big emphasis on close-range soldier combat here. Your best bet? Top-notch teamwork with your squad. – Tsaritsyn: The Bolsheviks and the Imperials enter the fray among barricaded streets as the old and new regimes fight for the soul of Russia. This up-close and personal infantry fight is as ruthless as they come. Use the house-to-house fighting to your advantage by setting up ambushes for overextending enemies. – Volga River: A ruined rural battleground sets the stage for a tank fight between the Bolsheviks in red and the Imperial Army in white. Makeshift shelters provide cover from the freezing cold and the constant exchange of heavy firepower. As you trade salvos with enemy tanks, remember to keep yourself from being outnumbered. A strategic retreat can give you time to regroup and prevent losing vehicle resources. Jump forward to 6.25 mins in the gameplay video below to see the action.